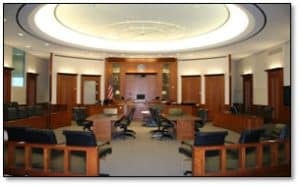 Jurors in criminal and civil trials are obligated to follow their oath, which includes being fair and impartial, and not favoring one witness over another on the basis of the witness’s profession nor personal connection to the juror. Amazingly and very sadly, Larry Jermaine Bell’s trial judge in Halifax County, Virginia, Circuit Court disregarded that oath, by allowing on Bell’s jury the cousin of the case agent in the cocaine prosecution against Bell. Bell’s lawyer’s motion to strike this juror for cause was denied by the judge, requiring Bell to use one of his limited and precious peremptory strikes to remove this potential juror from deciding Bell’s case. Bell v. Virginia, Virginia Court of Appeals Record No. 1765-16-2 (unpublished, Aug. 8, 2017). “COURT: Okay, would the fact that you know [police officer] Tom Lewis, impair your ability to give both the Commonwealth and the defense a fair and impartial trial today? [Prosecutor]: “Do you feel like your relationship with [Officer Lewis’s] father would affect your ability to be fair and impartial in the case today? [Prosecutor]: “And not give any undue weight to Tom’s testimony just because of him being family? [Bell’s Attorney]: “Let’s say that [Officer Lewis’s] testimony is in direct conflict with some other person in a case, let’s say it’s a traffic case and he says the light is green and somebody else says the light is red, are you more likely to believe him over someone else? Praised be the Virginia Court of Appeals for reversing Bell’s conviction due to the judge’s refusal to strike E.L. for cause. Further thanks to the appellate court for rejecting the prosecutor’s appellate argument that the error was harmless “because Officer Lewis’s credibility was not at issue.” Among the reasons that Bell finds this not to be harmless error is that: “’It is prejudicial error for the trial court to force a defendant to use the peremptory strikes afforded him by Code § [19.2-262] to exclude a venireman who is not free from exception.’” Bell.